Take a refreshing dip in the pool. Bring a blanket for movie night in the park. Set out on footpaths and bike trails that meander through breathtaking open spaces. Here at Citron at Bedford, you are officially connected to all of the things that make life so wonderfully enriching. Picture this: a cozy enclave of townhomes in fresh Farmhouse architectural style, set in an idyllic, gated community called Bedford. Inspired by its past as a citrus farm, Bedford delivers all of the wonderful things that define what it means to be a community—like playgrounds, pools and get-togethers. And for homebodies and social butterflies alike, home is thoughtfully designed with light and open floor plans that provide plenty of room to breathe. 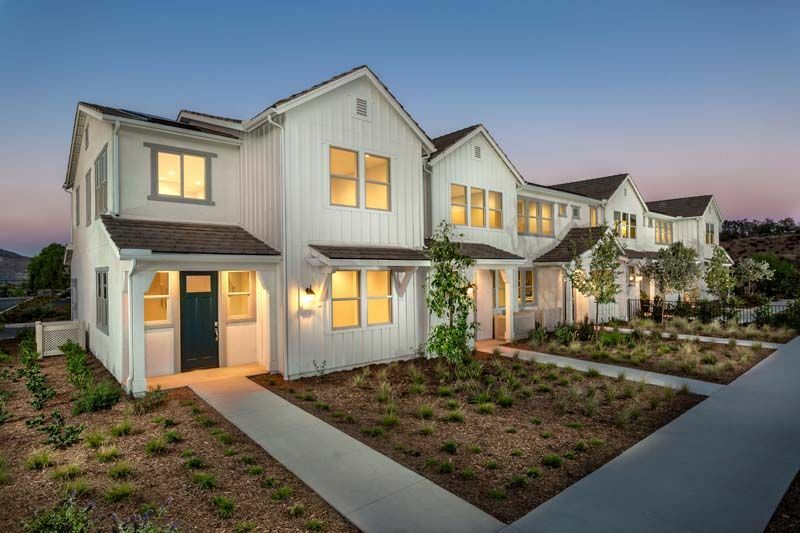 Against the backdrop of the scenic Santa Ana Mountains, Citron is conveniently located in a place that offers abundant natural beauty, and freeways and tolls roads that make all of the Inland Empire and Orange County accessible. This is Citron at Bedford. This is fresh squeezed joy. Served daily.